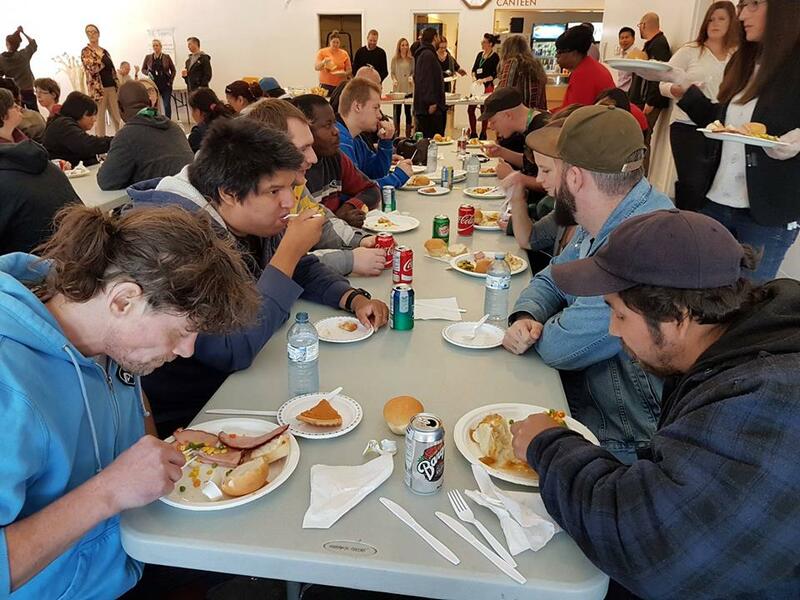 Earlier this month, Turning Leaf hosted a Thanksgiving lunch for our participants at the Sturgeon Heights Community Centre. We had so much to be thankful for this year, especially the people in our lives for whom we care and care for us. 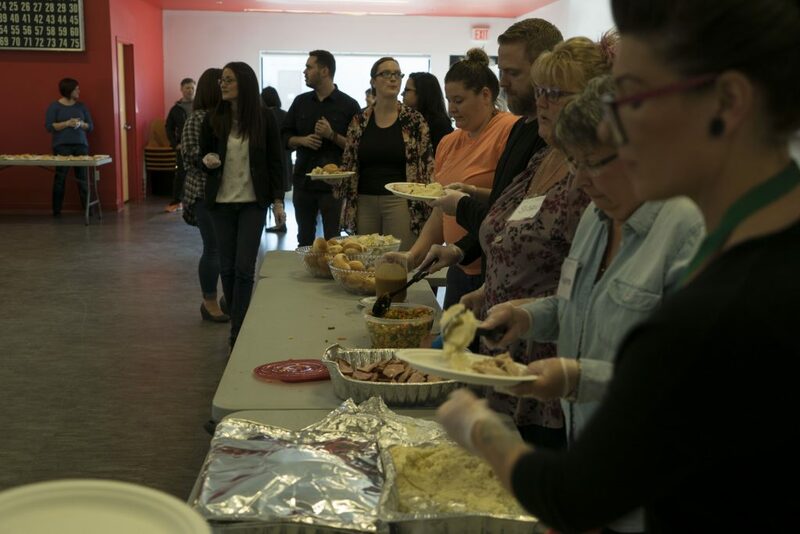 It was an amazing event filled with family, good friends and of course, good food. 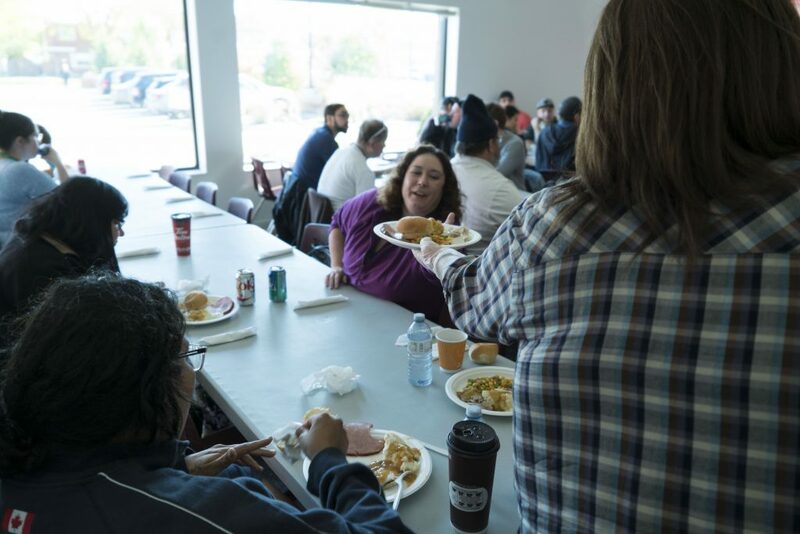 Turning Leaf Support Workers and participants alike sit down, share stories and break bread together. Everyone’s getting ready to dig in! 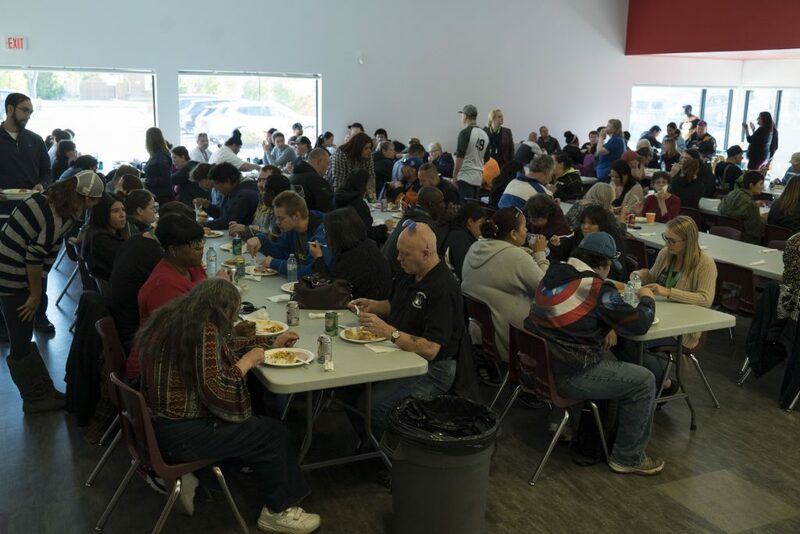 We had more than 200 people take part in the day’s events, 200 mouths to feed, 200 people who were thankful. 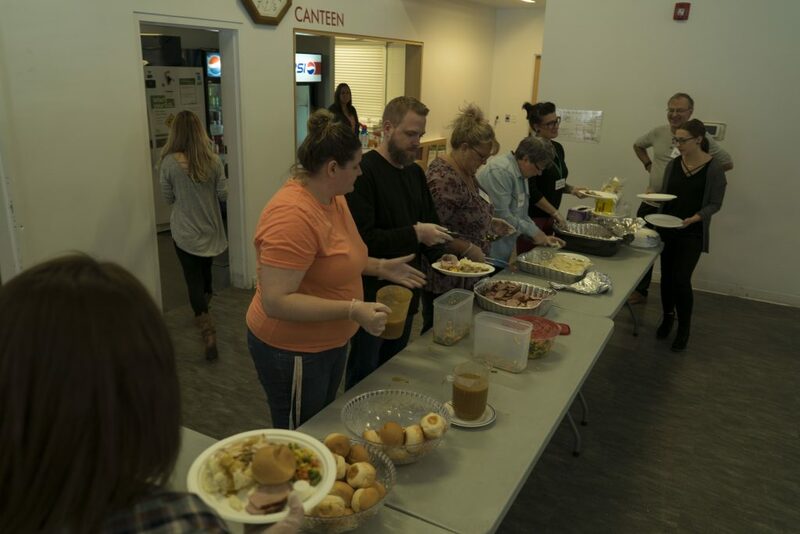 And we made sure everyone got their meal! 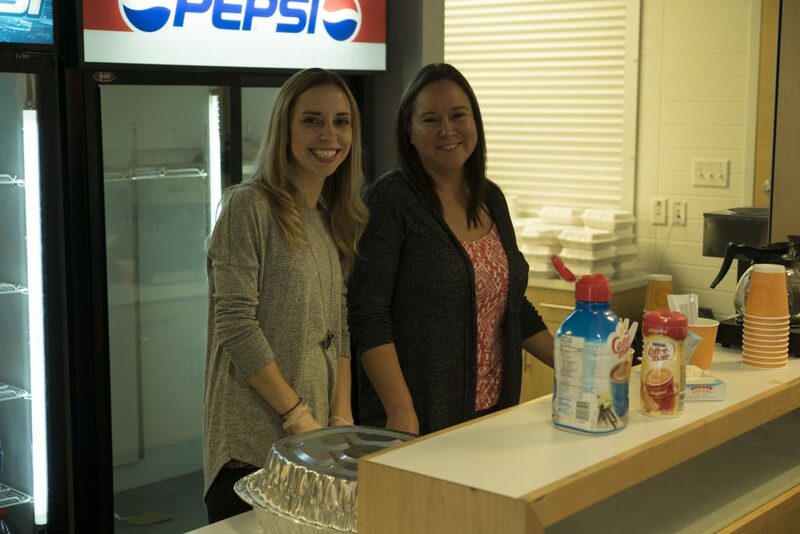 Of course, we’re also incredibly thankful for our staff and the amazing volunteers who took time out of their day to make sure someone else’s day was perfect. Could not have done this without our volunteers! 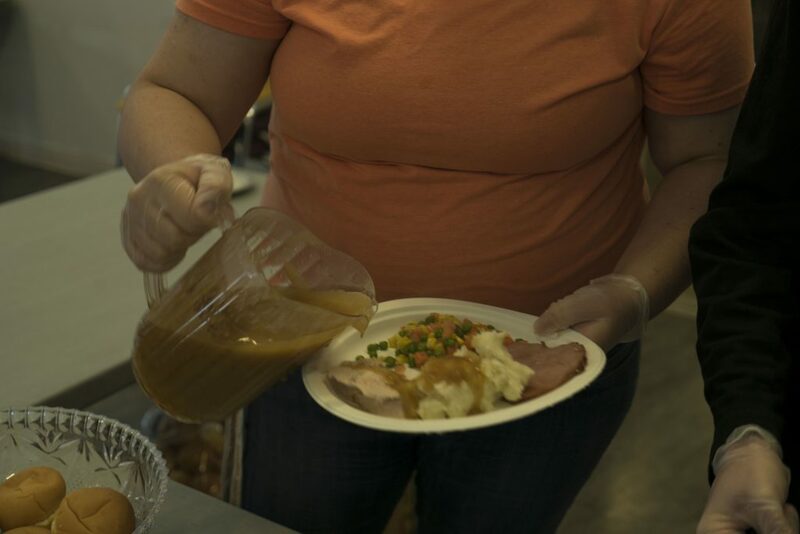 From ham to turkey, mash potatoes to veggies, we had it all! The day was full of smiles. It goes without saying, this day was only possible because of the generous people like you who donated and sponsored the event. Your support means everything to us. You give us a reason to be thankful, to be hopeful for a future that can hold such promise and opportunity. 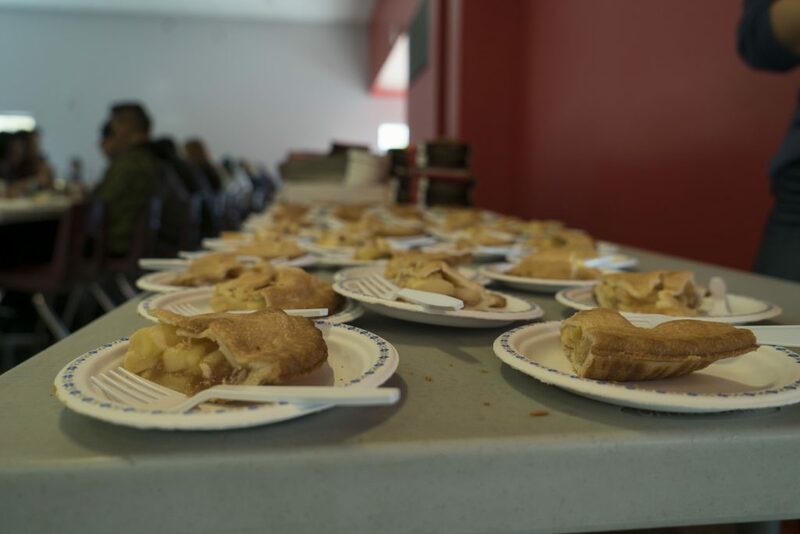 You donated a host of food (turkey, ham, and all the extras), plates, pies (both apple and pumpkin!) and beverages. 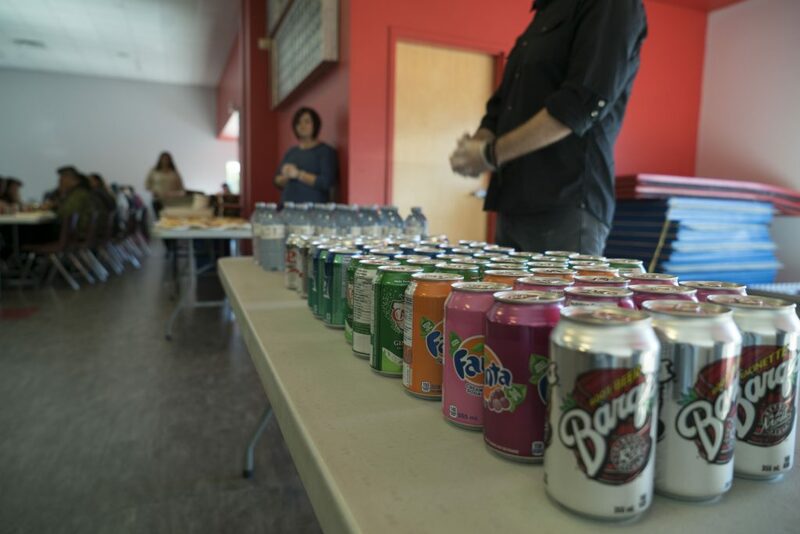 Also, thank you to the individual donors who contributed to the event. 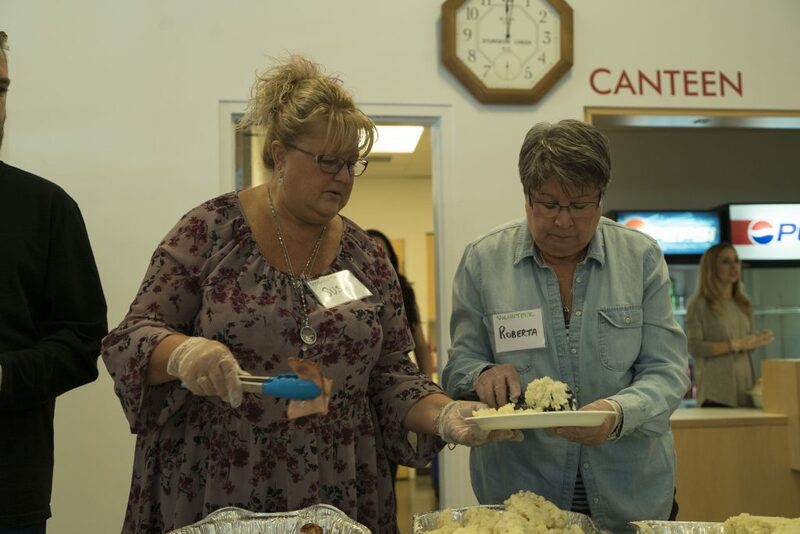 Thankful for the meal they received, all our participants wanted to give back by the end of the lunch. 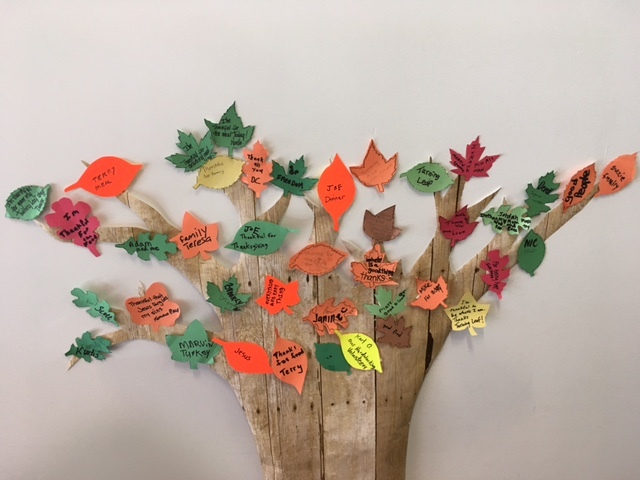 So, they pinned their well wishes to the Thankful Tree, giving thanks to everyone for putting on such a special day. The Thankful Tree in full bloom.